From brewery tours to cooking classes to a full-blown wellness retreat, these unique bachelorette party ideas all put a fun spin on the traditional last fling before the ring. 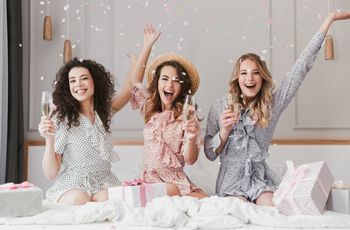 If you're determined to make your BFF's bachelorette party as memorable and distinctive as possible, you'll want to think up some seriously unique bachelorette party ideas to celebrate her last fling before the ring. 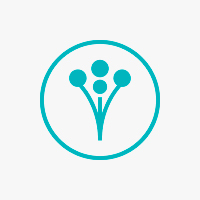 Lucky for you, we've got you covered! 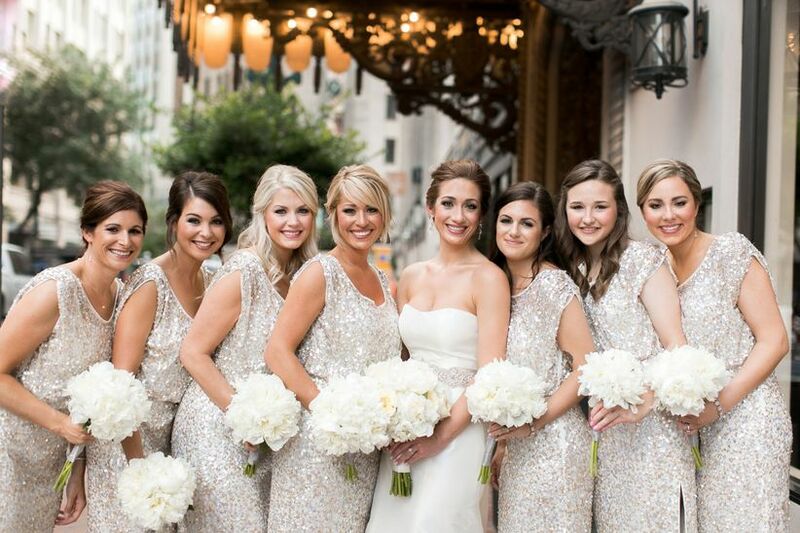 While it’s tradition for the maid of honor and the bridesmaids to plan everything from start to finish (just check out our ultra-detailed maid of honor duties and bridesmaid duties checklists), the bride herself may prefer to get involved. Our insider tip? Welcome and include the bride in the planning; she may have things she specifically does or does not want to do on her bachelorette party. 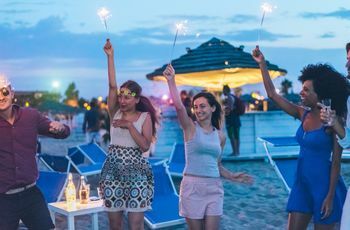 So once you find out how much time you all have together (a night, a full day, an entire weekend) and exactly when all the bridesmaids, family members and other bachelorette attendees are free, choose exactly how to celebrate with this list of unique bachelorette party ideas. From brewery tours to cooking classes to a full-blown wellness retreat, these ideas all put a different spin on the traditional bachelorette party. 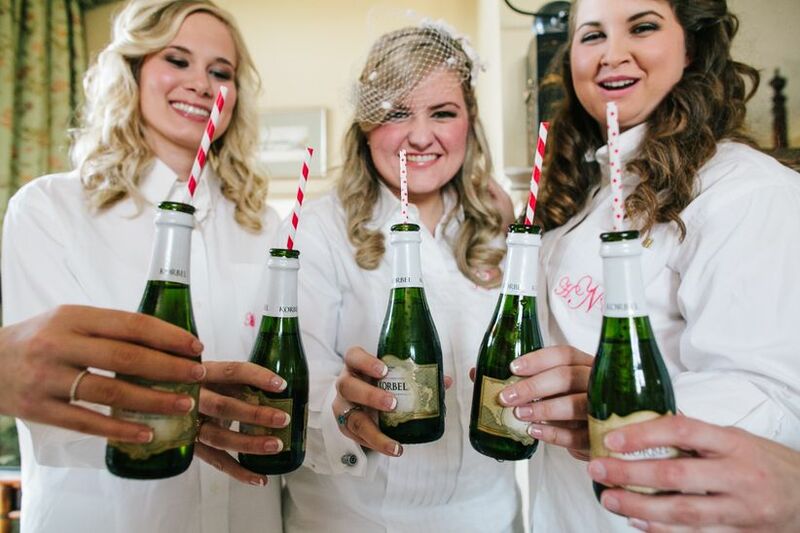 Here are our all-time favorite unique bachelorette party ideas. Have you and your pals been daydreaming of doing something wild and crazy, like bungee jumping, whitewater rafting or taking a flying trapeze class? What better time to finally do it than when you’ll all be together on a bachelorette party! Make sure you start planning early for this one — you’ll need to book the activity and maybe even take lessons first (like if you’re going scuba diving). Here are a few more unique bachelorette party ideas for real thrill-seekers: hang gliding, rock climbing, parasailing, skydiving and zip lining. Are you ever too old to enjoy a good ol’ amusement park? Never. One of our favorite bachelorette party ideas is to act like kids for the day as you hop on roller coasters, electric swings and carousel horses, munching on cotton candy in between rides. If the weather’s warm, pack your suit and make it a water park day. At night, go out for some grownup fun to a great restaurant or club. Pick your poison and then plan a tour around it. 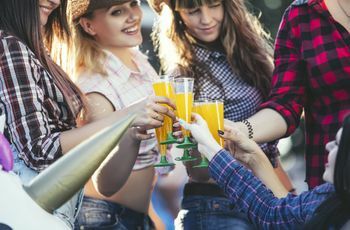 Instead of a traditional bar crawl, opt for a unique bachelorette party idea by choosing cool craft breweries or lounges that are known for a drink specialty, like a broad tequila selection or savory cocktails. (Check out our roundup of the best wine tasting bachelorette party destinations.) If you live in a city, you can signup for a walking tour (or put together your own), or you can hire a limo that will help you get from one place to the next — just don’t drive! At the last place you hit for the evening, plan to stay for a pairing dinner. 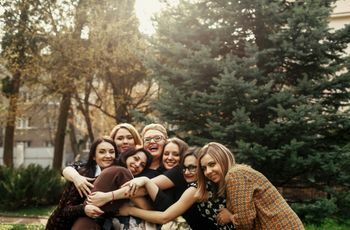 When both sides of the bridal party are friends or when you want to help everyone break the ice before the big day, a co-ed bachelor/bachelorette party may be a brilliant as well as unique bachelorette party idea. Spend the entire time together or hang out in a big group for half the time and then break off with just the girls. Pick an activity that everyone will enjoy or a location that has a lot to offer, like a beach town with volleyball, bike riding, club hopping and bonfires. Find out the bride’s favorite cuisine and sign everyone up for a cooking class. 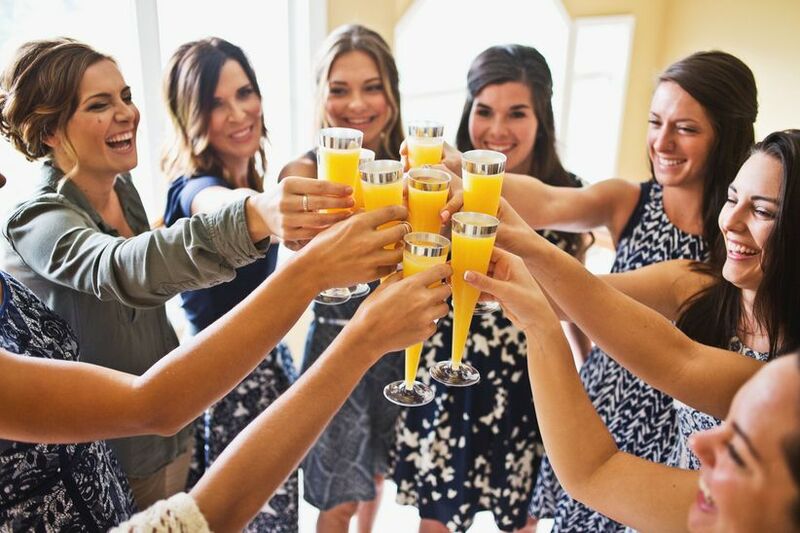 This unique bachelorette party idea satisfies two bachelorette party must-haves: fun with the girls and a delicious meal. Don’t worry about who does or doesn’t have cooking skills— everyone will feel like a chef for the night. Do you and the girls constantly talk about the latest movie to hit theaters or the indie bands that are on tour? Plan a trip to a movie or music festival. There are few things more fun that a car packed with close friends who are on their way to watch never-before-seen movies or their favorite band. Traditional camping can be a lot to ask for from a group of different personalities, but glamping (glam camping) is a different story. Keep the fun, raucous and social aspects while ridding your weekend of bugs, dirt and overall roughing it. You’ll even be treated to hot water and electricity, making it easy to get gussied up and head out for a day or night in town. Then retire to your chic cabin or tent for ghost stories, s’mores and bubbly. The bridal party will be a huge part of the wedding day photos, but during your bachelorette party you can put the focus solely on the girls. Look for a studio that specializes in themed photo shoots. For example, a photographer who takes 50s pinup-style photos will have a closet of retro duds to choose from and possibly even a professional hair and makeup team on hand or can provide recommendations. Health-oriented brides will love a way to unwind and detox pre-wedding. Book a weekend at a wellness retreat center, where you’ll join group workouts, dine on healthy meals and get pampered during spa treatments. Depending where you go, there may even be some beach or pool time on the docket. Whatever activity you choose, don’t wait until the wedding is a mere 24 hours away. Nobody’s going to want to wake up early the next morning and face a big day ahead. Give yourself, at minimum, a week between the bachelorette party and the wedding celebration.